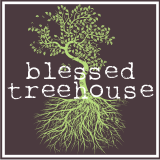 Blessed Treehouse: Oh. My. Diva. birds of a feather...stick together. Her little friend Halle is the same way. Sometimes being the mom to the super cute wailing diva is exhausting. Or is it just me? just like her auntie momo :) divafied! I don't believe a word of it. She is the picture of innocence.